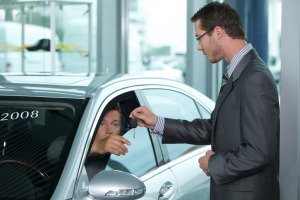 What are the Best Car Financing Companies for Bad Credit Borrowers? At AutoNet Financial we understand that borrowers with bad credit scores have a hard time working with auto financing companies and getting loan approval. That is why we make a point to offer an easy online application that can to help you qualify for financing today. As a premier auto loan finance company, we tend to pride ourself on offering buyers a chance of purchasing a vehicle when other will not. We also, utilize our expertise in the field of bad credit auto loans to inform borrowers of what it takes to get approved for a loan with us. Many online services, like AutoNetFinancial.com, do an excellent job at allowing people with any credit to submit an application and be paired with a nearby dealer that offers the best rates for your credit score. These institutes typically consist of banks or more lucrative lenders that backup smaller businesses throughout your area. They may not directly offer you financing if you have low credit scores, but they possibly will indirectly. 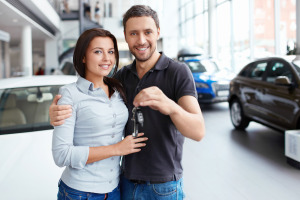 Local car lots in your community often times are able to offer financing to a wide array of borrowers, but often times have their rates and requirements determined by a national lender. Certain special lenders like buy here pay here car lots, tote the note dealers, and your job is your credit dealerships will offer financial assistance to anyone and have very easy stipulations, but often feature higher interest rates. By pairing yourself with the right type of car finance places you can find yourself buying the perfect new or used car with an auto loan that fits your credit situation. In some cases certain lenders will require a lower monthly income, and depending on how damaged you credit score is they may not require a down payment. 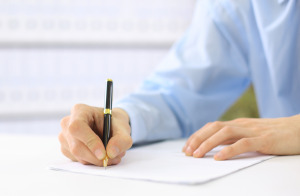 However, you always want to have these things covered before applying for an auto loan with bad credit rating. Now, once you have a good car finance company and made sure you meet their requirements, it's improtant to know what kinds of vehicles to target. For borrowers with credit problems it's often advised that they buy previouly owned autos, rather than newer ones. This is because used car loans for bad credit scores tend to feature shorter loan terms, and more affordable payments. A pre-owned auto is not going to be as costly as a newer vehicle, which means you won't need to sign a large finance agreement to make your final purchase. This will reduce your monthly payments, and make it easier to improve your credit by repaying the loan in time. After reading all this useful information about how you can still use a loan company with low credit to buy a car you are probably ready to apply right now! By clicking the "Apply Now" button above or below you can instantly start filling out our online application and be in postion to purchase a great vehicle in no time at all. Remember, AutoNetFinancial.com is one of the best places to get approved for auto financing no matter what your credit situation maybe. So apply today and witness the benefit of receiving easy loan approval.